C omo una ola de fuerza y luz (1971-72) is the culmination of Luigi Nono’s politically engaged compositional phase, while …..sofferte onde serene… (1975-77) marks the beginning of a subtle and serene new aesthetic orientation. Both works are presented here in highly expressive interpretations that give special attention to the tape parts, revealing many previously unheard sonic materials. Most importantly, the recording of …..sofferte onde serene… uses a newly produced reconstruction of the original stereo tape, which has not been available since Maurizio Pollini’s first recording. 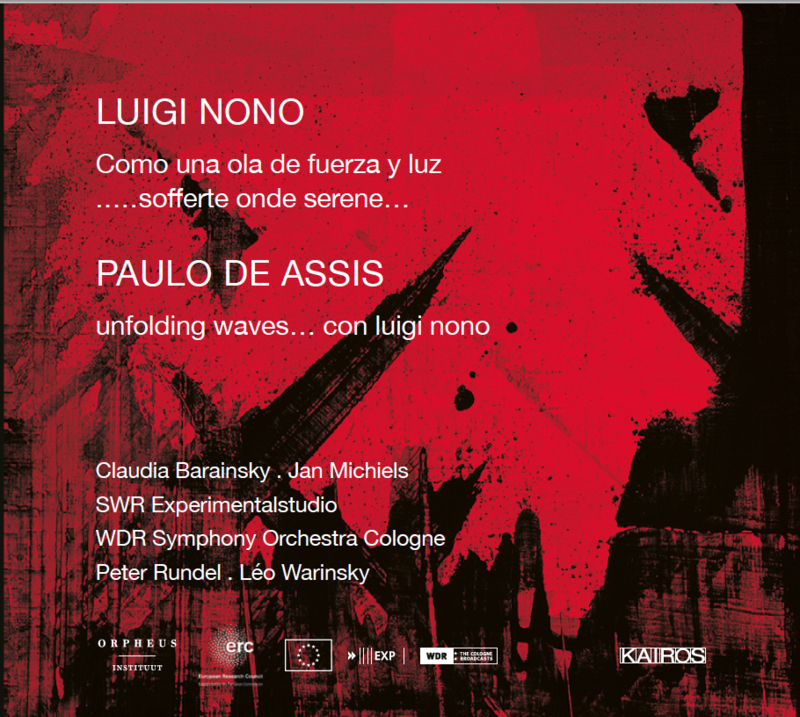 Composed after a period of profound study of Nono’s sketches and compositional techniques, Paulo de Assis’s unfolding waves… con luigi nono (2012) is a reflection on “listening” through the exploration of multiple temporalities, fragmented timbres, indiscernible sounds, and labyrinthine movements of sound in space.